When talking about protecting packages, we focus a lot with customers on packing methods, proper loose fill, the appropriate box, and more. Those are all important, of course, but one of the most overlooked areas of shipping for customers is insurance (or “declared value” as it’s more appropriately referred to). Some packages are going to get damaged. It’s a fact of this industry. The odds for jostling, friction, and impact are bound to happen when you factor in the sheer millions of packages with various sizes and weights being quickly loaded and unloaded by hand, then moving through sort facilities on conveyor belts that move at high speed, and then traveling along in a truck or plane over rough surfaces. That’s why we stress proper packing. Sometimes, though, even your best packing efforts won’t guarantee your package arrives in one piece. If you didn’t declare a value on it, you can expect to experience a headache worse than the one you felt when you learned the item was damaged. You’ll often hear declared value referred to as insurance. People use the term “insurance” because it’s easier to say and generally better understood. What you need to keep in mind is that “insurance” and “declared value” are two different things. Insurance provides different levels of coverage based on a small fee that you pay. It gives you access to a premium and allows you to use whatever amount you need up to that premium. For example, you can rent a 14′ U-Haul van and get different levels of insurance. The more you pay, the higher dollar amount you get in potential benefits. Declared value, however, is whatever value you say the item is worth. You still pay a small fee to add declared value, but there are no premiums. For example, if you’re shipping a $500 stereo and you declare a value of $700, you’ll only be covered for the actual value of the stereo. In other words, shipping insurance companies will only cover the cost to replace the item; they won’t pay anything above that. That’s why its important to refer to your package as having a declared value of so many dollars and not insuring it for a certain amount. Another fact to keep in mind is that insurance companies like saving money, too. That stereo may have cost you $500 when you bought it, but if they find the same model on eBay for $200 that’s what you’ll receive a check for. If they cannot find a replacement item of like or similar quality, you’ll have to provide proof of value (i.e. a receipt) before the insurance company will cut a check for $500. That’s also assuming they think it was packed properly, which takes us back to the importance of proper packing. When shipping jewelry, pack it in a plain, nondescript box that’s at least 6″ x 6″ x 6″. Double box items with high fragility (put the wrapped items in one box with loose fill and then put that box in another box with loose fill). This is a good step to follow if your declared value is over $1,000. Require a signature on high value items (anything over $500) so packages are not left and lost or stolen. Don’t seal the top of your box if the value is $500 or higher. Most shipping companies will need to inspect packages that have a high value to ensure proper packing has been performed on the item. 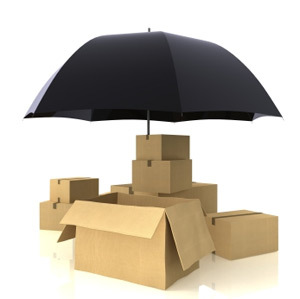 This protects you from losing money on a claim that gets denied due to improper packing. As you can see, it can be tricky navigating the waters of package insurance . . . or declared value. Your local neighborhood parcel store is there to help guide you through the process and make it easy. Stop in and see them for more details and help with your high value shipments!